Whether you stayed up all night to find out what season two of Stranger Things had in store for the residents of Hawkins or you devoured hours of Fuller House to get reacquainted with the Tanners, you’ve likely binged-watched a show or two on Netflix. According to a recent study by Netflix, Canada has the highest number of “binge-racers” in the world. Binge-racers are viewers who power through an entire season of a show within 24 hours of its release. Marathon screenwatching has become the new norm with platforms like Netflix offering endless hours of content. Jan Van den Bulck, a communications professor at the University of Michigan, says it’s the first time in 60 years there has been a significant change in how we consume television. Instead of waiting a week for another episode, we can immediately tune into the next one. Van den Bulck says episodes are designed to hook viewers, often ending on a cliff hanger. “If you’re watching Game of Thrones and it looks as if one of your favourite characters may or may not be dead and you’ve been watching this for several seasons, of course you want to know what happens next,” he says. Van den Bulck says there is nothing strange about this behaviour, but a recent study he co-authored on binge-watching found it can negatively impact sleep. This impact may come from pushing back your bedtime to see what happens next in the show or from thoughts of the show keeping your brain busy when you are in bed. This is called arousal. The show may make you angry or leave you wondering how it will end. At night, our self-control is at its lowest, says Van den Bulck, making caving into Netflix’s “Do you want to continue watching?” question all the more tempting. 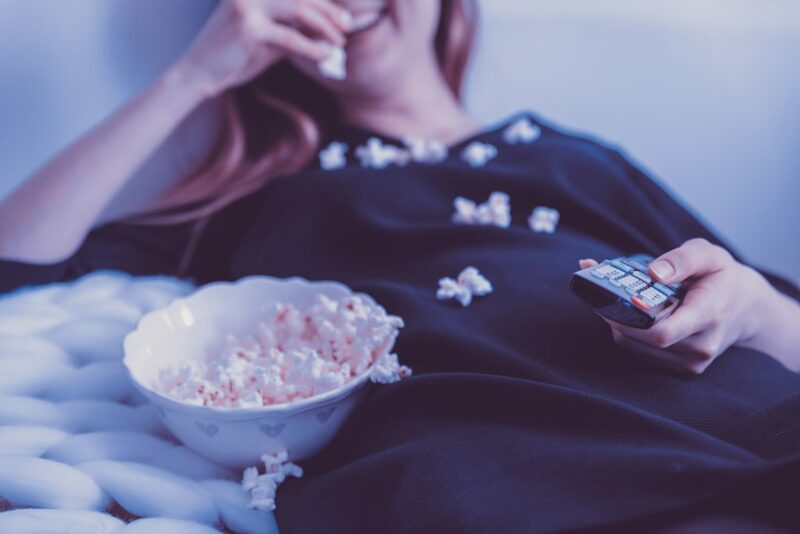 While it may be keeping you up, Van den Bulck feels there can be positives to binge-watching, such as providing a distraction for those who suffer from chronic pain and the social aspect of the activity.